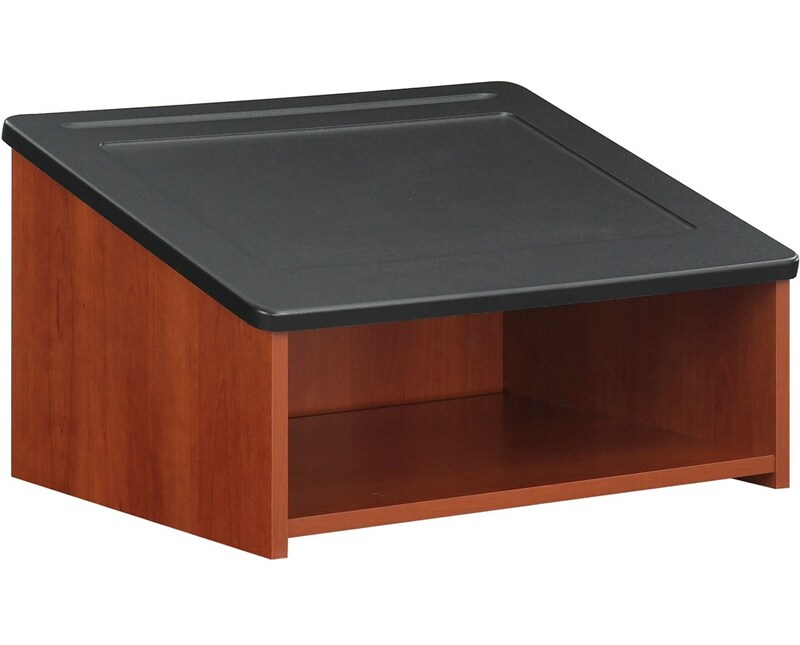 The Safco Lectern Tabletop is a removable surface part for a stand-up presentation stand. The 24-inches wide reading surface has pencil and paper grooves to keep items from falling off. 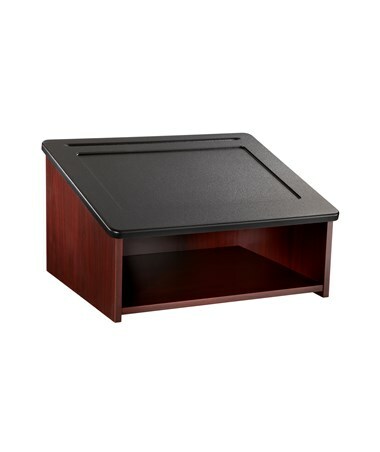 It also features a large open storage 21 ½ inches wide and 18 inches deep. 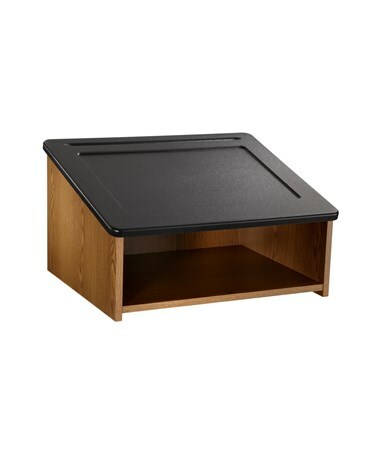 This lectern top is made of furniture-grade particleboard with a laminate finish for a stain and scratch resistance. It is easy to assemble with the cam-lock fasteners and meets the BIFMA safety standards. This lectern part perfectly works with Safco Lectern Base/Media Cart to form a 45 inches high mobile lectern. 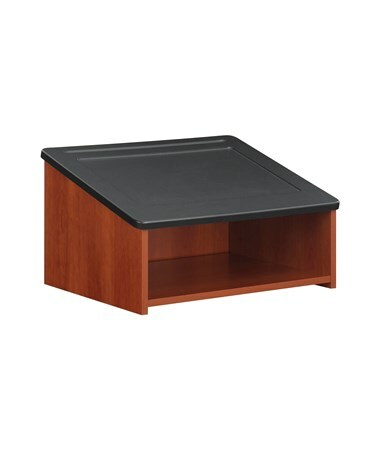 The Safco Lectern Tabletop is available in three different colors. Please select your preference from the choices above.